Hey buddy, we are having a nice progress at the social media. Anyways, we can create more ways to promote the currency... Do you know if there's any GLD faucet? A lot of people in the community use that kind of method to earn some additional coins. just ask blawpaw or look at his outpost thread, i can remember he mentioned to set up a faucet, he also made a give away on cryptocointalk and on the irc channel there is also a give away. -We need a "rough" Prototype of the Newsletter content. - We got new Spanish members so we can provide a small section about Spanish News and Links to our Spanish members ? - We can ask for Votings on the gldtalk.org to know how many "active gldtalk users" are currently care about Goldcoin related Projects. - We can provide new Images from Carlill0 or from the Artwork Collection ? I would say 6 or 12 times during the Year. I received the first Newsletter of Goldcoin from Blawpaw today ! here is the first draft ! Ok let's go for 12 times during the year. 1 per month! Yeah i also think 12 times in the year is enough , so we can provide good content and dont run into a spamfilter maybe , i think we can provide during the month the most important things in slack , and then put it on the newsletter , in order i will update coinwik.org/goldcoin also one time per month , then we provide good content, would love to see a few more links in it to the related gldtalk.org topics or for the blockexplorer for example. Hi. i think that the newsletter can be included as a section on the page such as those already made. 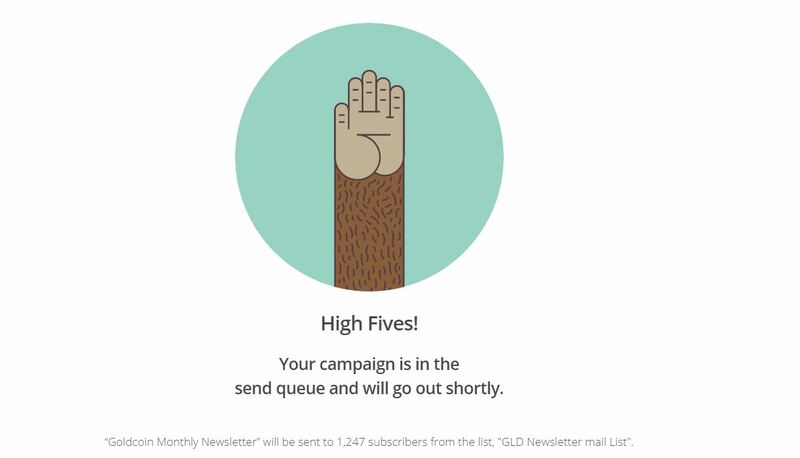 Today, I've started the Newsletter campaign! I hope that this can bring the community closer together! Last Monday i posted a promotional message on fanpage and twitter !! I ve set up a template using beefree.io there you can choose a newsletter template and edit and save it in html code for free. afterwords this template can be imported to mailchimp which we are using at the moment. - its also possible to do a little Q/A with a google document to get some feedback of what we are doing.